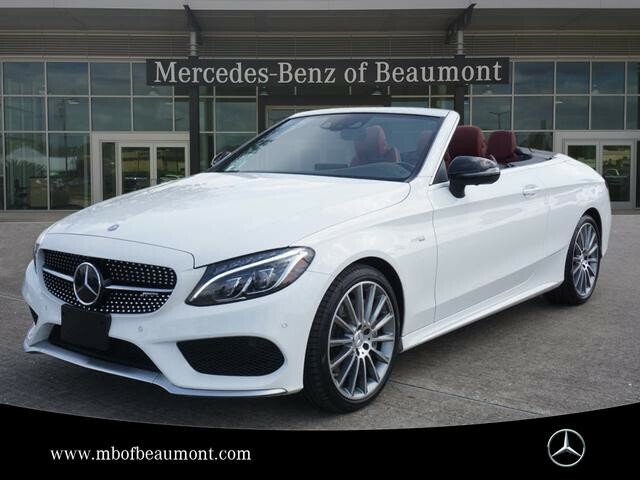 This 2017 Mercedes-Benz C-Class AMG® C 43 is proudly offered by Mike Smith Plex Chrysler Jeep Dodge Drive home in your new pre-owned vehicle with the knowledge you're fully backed by the CARFAX Buyback Guarantee. Every day feels like Saturday when you're driving a well-maintained, plush convertible like this one. You deserve a vehicle designed for higher expectations. This Mercedes-Benz C-Class delivers with a luxurious, well-appointed interior and world-class engineering. Hit the gas pedal and put the engine power to all four wheels. With AWD, you'll have the greater performance right off the line, everytime you drive. The C-Class AMG® C 43 is well maintained and has just 17,823mi. This low amount of miles makes this vehicle incomparable to the competition.